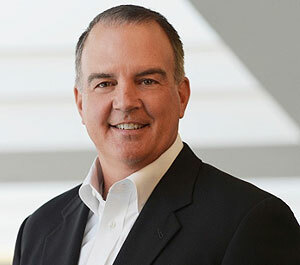 Dan Burkland is president of Five9, a provider of cloud contact center software. In this exclusive interview with CRM Buyer reporter Vivian Wagner, Burkland talks about using the latest cloud-based contact center technologies to create better customer experiences. CRM Buyer: What are some key trends in the world of contact centers and customer service? Dan Burkland: We&apos;re seeing a digital transformation take place, where companies are moving their contact centers to the cloud. There are two key criteria for a contact center -- there&apos;s the CRM and the contact center infrastructure, and those two really go hand-in-hand. You bring a call, chat, text or email into the center, and you have to look for an agent who&apos;s available and properly skilled to handle such an interaction. Once you make the decision about where to send the call, that triggers the CRM so it can answer all the questions about that customer and that type of caller and interaction. There needs to be integration between CRM, where the customer data lives, and the contact center. That&apos;s all done as CRM moves to the cloud, and it&apos;s much easier for companies to have their contact center infrastructure in the cloud. CRM Buyer: Why is the cloud such a revolutionary force in contact centers? Burkland: There are a few reasons. One is the most basic: There&apos;s all the IT and other required staff needed to serve a large enterprise with multiple data centers, and also the need to keep the software at consistent levels and pay for the upgrades in order to stay current. When you move that same infrastructure to the cloud, there&apos;s zero footprint for a data center for the client. The second is as that takes place, you have a central place for phone calls to land and be distributed throughout the world. A third area is integration. By having a single instance of CRM and contact center, we have the ability in real time to see all the resources that can handle an interaction, on the fly, at a moment&apos;s notice. Finally, a fourth area is innovation. When you&apos;re with a cloud, the company keeps the software always current, and when a new innovation or feature is developed, it gets pushed out immediately without any infrastructure demands on the customer. CRM Buyer: What is intelligent routing, and why is it important? Burkland: The first step is identifying, and the next is deriving intent. If we can do those two things, the better we can make a match with the proper agent and deliver the proper information to that agent so they can handle the call. I want to ping my database for an identifier, where I can then hit my CRM database and do a search for that customer, to pull up their information. I can determine what type of customer they are and why they could be calling. The more information we receive from our database and from the caller right when the call is beginning, the more an intelligent routing decision can be made. CRM Buyer: Why is CRM integration important for contact centers? Burkland: Let&apos;s look at the example I just described. If I receive a phone call, I could ask if they&apos;re calling for sales or service, and then route that call. But that&apos;s all I would know. I wouldn&apos;t know if they&apos;re an existing customer or new customer. CRM not only helps with routing, but it also helps me to equip the agent so they&apos;re not asking the customer to re-explain who they are. When the call is delivered, the CRM system will pop up on the screen, so an agent can greet a caller with a lot more information. It&apos;s about creating a better customer experience for those consumers, and in today&apos;s world, the customer experience is key. CRM Buyer: What are some of the latest trends and innovations in mobile customer engagement? Burkland: A perfect example is visual IVR. When a caller reaches a contact center, it answers and prompts the caller for information. With visual IVR, I can use an app on a phone and be able to press one button on my keypad and communicate with a company. It can give me my result right there on my phone, without my ever having to call or use my computer. If I do reach out for an agent, I can see the queue time, or I can ask the company to call me back in 15 minutes and place me in a virtual queue. That&apos;s one example of many that allows us to use the intelligence of mobile devices to allow consumers to contact companies. It gives mobility to both consumers and supervisors, who can see in real time the queue times and calls they&apos;re handling, and they can do all of that from anywhere in the world. CRM Buyer: What&apos;s in the future for call centers? How are they evolving? Burkland: The biggest trend we&apos;re seeing is a lot of interest around AI and machine-learning, and using bots to handle some of the human elements that are now handled manually. As an industry, we&apos;re looking at how we leverage AI for a contact center use-case. Bots can alleviate some of the labor for mundane or repeatable questions that get asked, and they can get customers the answers that they need. They can search a database using natural language processing, looking at a text message, for instance, and giving a response. Also, if a customer has a question, a bot can interrogate a database and give the agent suggested or likely responses based on what the system thinks the question was. This kind of assistance helps agents provide better service.